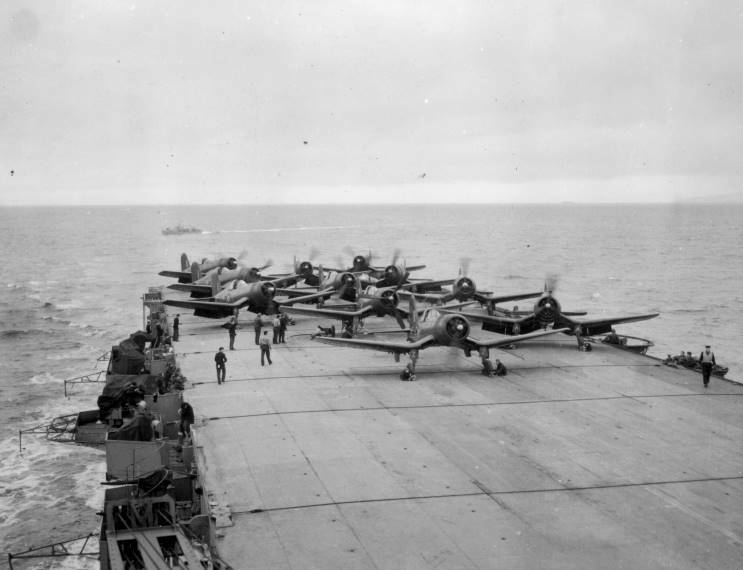 Vought Corsairs of 1851 Naval Air Squadron with engines running on the flight deck of HMS Venerable. 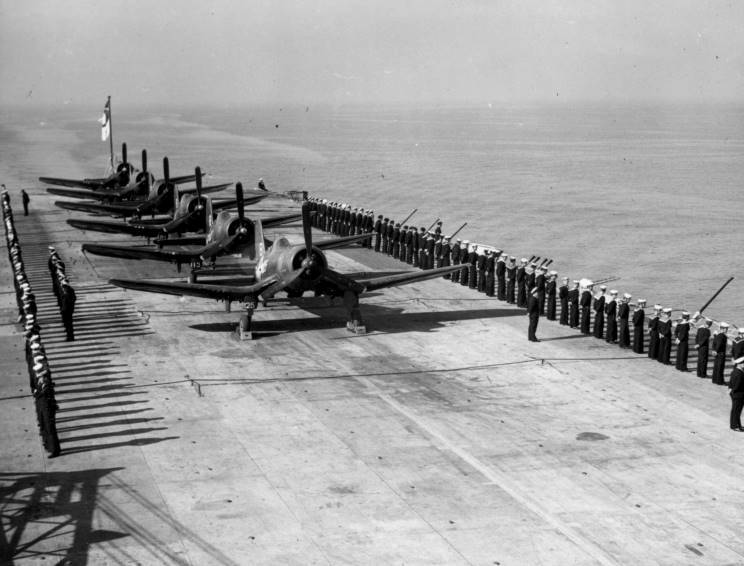 Vought Corsairs of 1851 Naval Air Squadron on the flight deck of HMS Venerable. 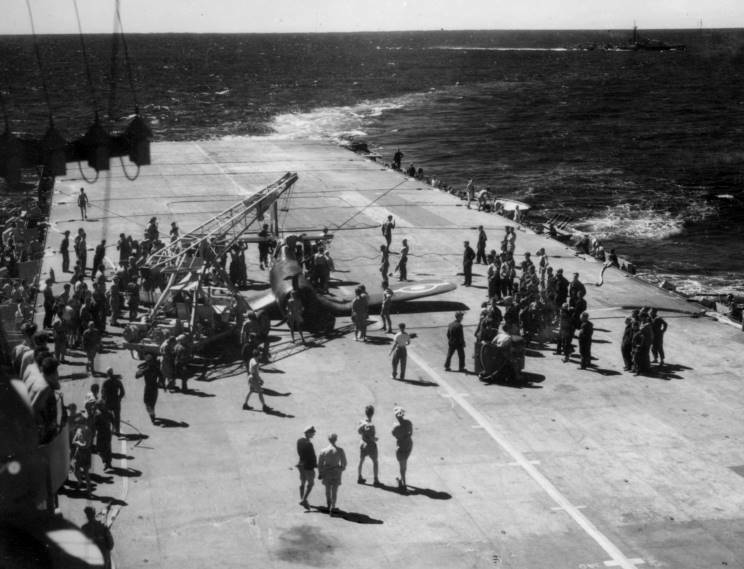 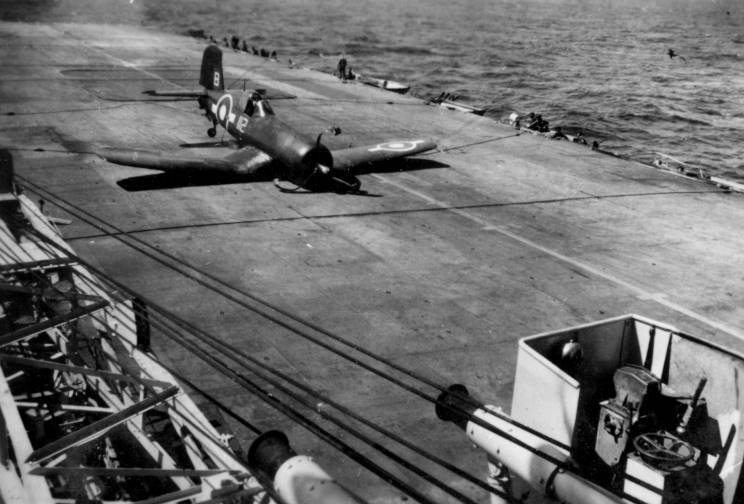 Wheels up landing on HMS Venerable for a Vought Corsair (112) of 1851 Naval Air Squadron. 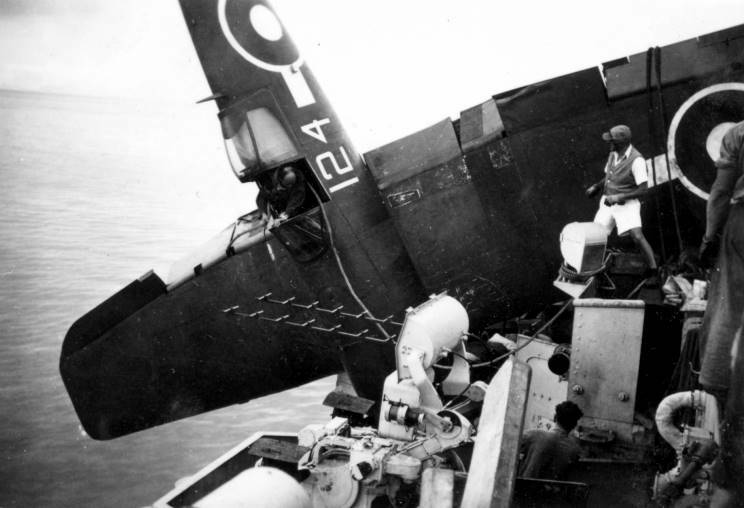 Crewmen preparing to remove the wreck of the Vought Corsair (112) of 1851 Naval Air Squadron. 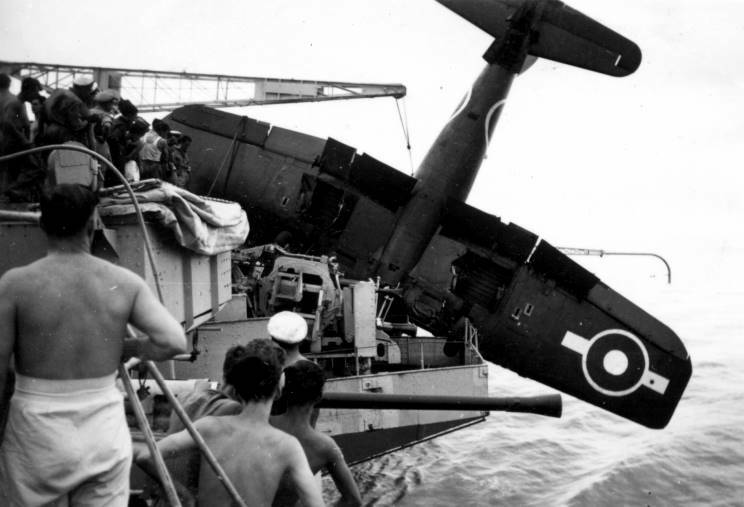 A Vought Corsair (124) of 1851 Naval Air Squadron hanging over the side of HMS Venerable after a bad landing. 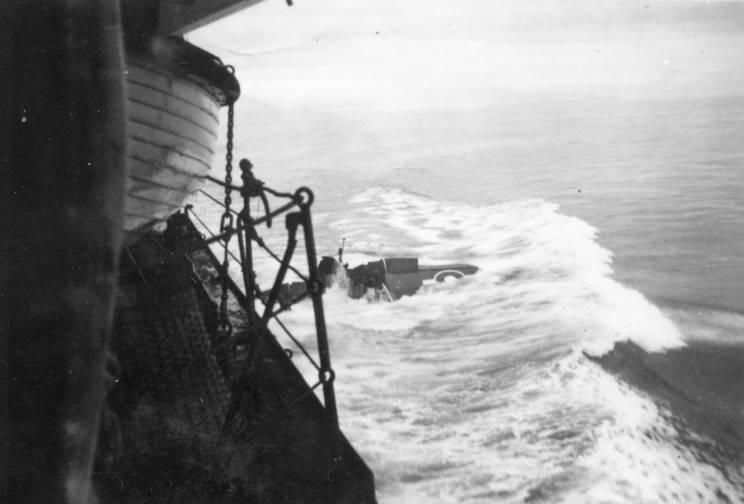 Note the pilot is still in the cockpit. 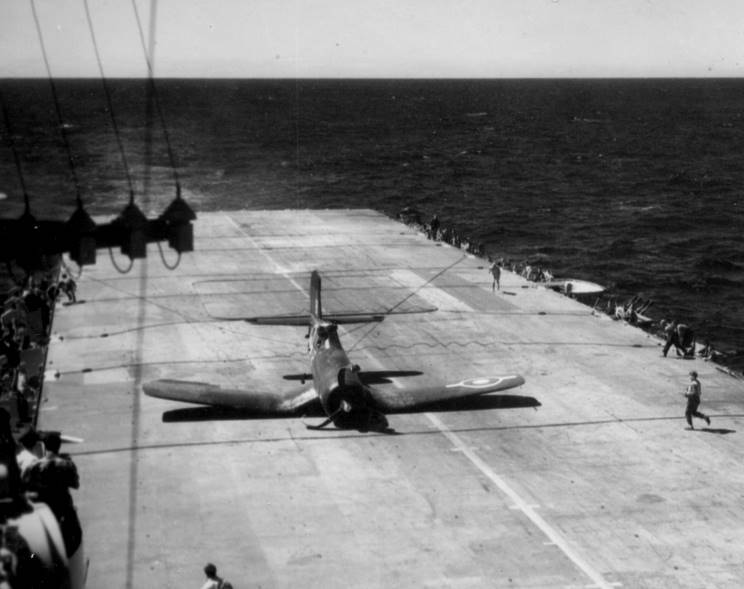 Another view of Vought Corsair (124). 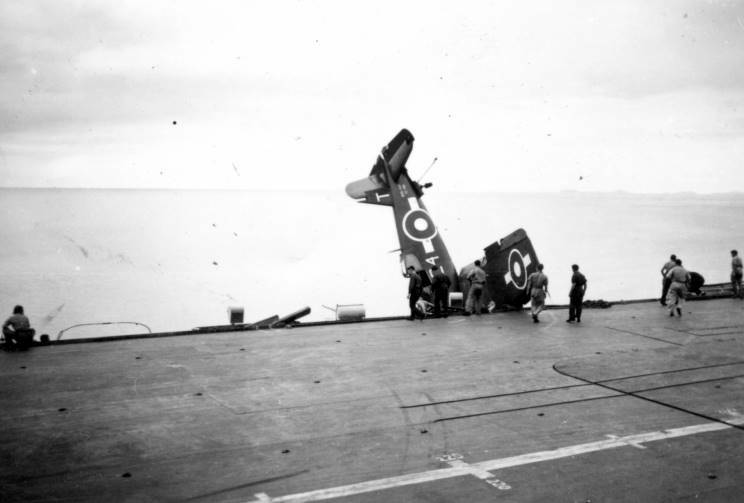 The pilot safely removed, the Vought Corsair (124) is pushed over the side.